Commitment on Investment in Access to Essential Medicines Signed at UNCTAD14: On July 21, 2016, UNAIDS and the UN Conference on Trade and Development (UNCTAD), the African Union (AU), and the Kenyan and South African governments signed a commitment at the 14th session of UNCTAD to facilitate investment in Africa’s pharmaceutical industry in order to boost the sector’s production and make available essential medicines for millions of needy people. The commitment named Nairobi Statement on Investment in Access to Medicines aims at spurring, particularly, the manufacture of antiretroviral medicines in the continent worst affected by HIV and AIDS. The commitment is in line with the 2030 UN Sustainable Development Goals (SDGs) on health, which emphasises access to essential medicines for all (No 3), innovation and domestic technology development (No 9) and on international cooperation and policy coherence (No 17). SAP/SEP Suffers a Huge Blow: A joint Australia-New Zealand proposal for a unified patent application and examination process appears to have been mooted following its rejection by the New Zealand Parliament’s Commerce Committee on the basis that the purported benefits of the mechanisms either do not exist, or are outweighed by the costs. The proposed single application process (SAP), and single examination process (SEP), was simple – to allow applicants wanting to obtain patents in both Australia and New Zealand to file one common application which would be subject to search and examination by an examiner either at IP Australia or at the Intellectual Property Office of New Zealand (IPONZ). More on that here. Marrakesh Treaty to enter into force soon: Canada recently became the key 20th nation to accede to the Marrakesh Treaty to Facilitate Access to Published Works for Persons Who Are Blind, Visually Impaired or Otherwise Print Disabled, which will bring the Treaty into force by September 30, 2016. Stevie Wonder, a longtime supporter of the Treaty has this to say. Enter your email address to follow IP Manor and receive notifications of new posts by email. 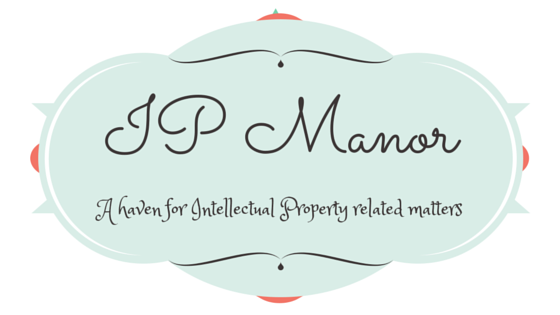 A haven for Intellectual Property related matters.